Our award-winning hard ciders are old fashioned, unfiltered farmhouse ciders made from select apples. 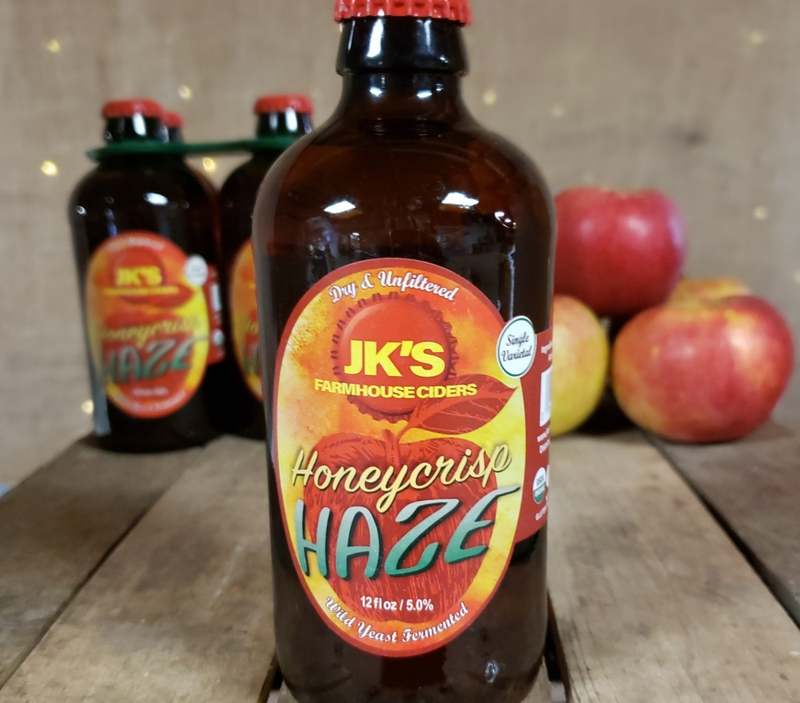 Our JK Scrumpy – the original – is a blend of apple varieties and our other hard ciders are based on that blend, and feature carefully balanced natural flavorings. We get asked that a lot around here. The word Scrumpy comes to us from the west of England, where Scrumpy has been produced for hundreds of years. There are several possible origins of the name. One is the word “scrump” meaning something withered or dried, specifically apples. This doesn’t work for us, because those apples go into our pigs, not into our ciders. The second possible origin comes from the word “scrimp” which means to steal fruit – this term is a bit more appealing to us (no pun intended) because hard cider helped save the farm during Prohibition and the Great Depression. Currently we have 7 “standard” flavors in bottles and/or cans and growlers, and a number of limited release hard ciders available only at the farm in growlers. Most of our hard ciders start with a blend of apples, although we do have a few single varietals, most notably using Honeycrisp or Goldrush apples. All our hard ciders are natural with no added preservatives, artificial flavors, sulfites or sorbates, and they are gluten free. And because we use traditional brewing methods and don’t filter our products, our ciders are cloudier – more substantial in appearance and in flavor. Not only do you get more of the apple flavor, you get body and texture for a more robust hard cider. 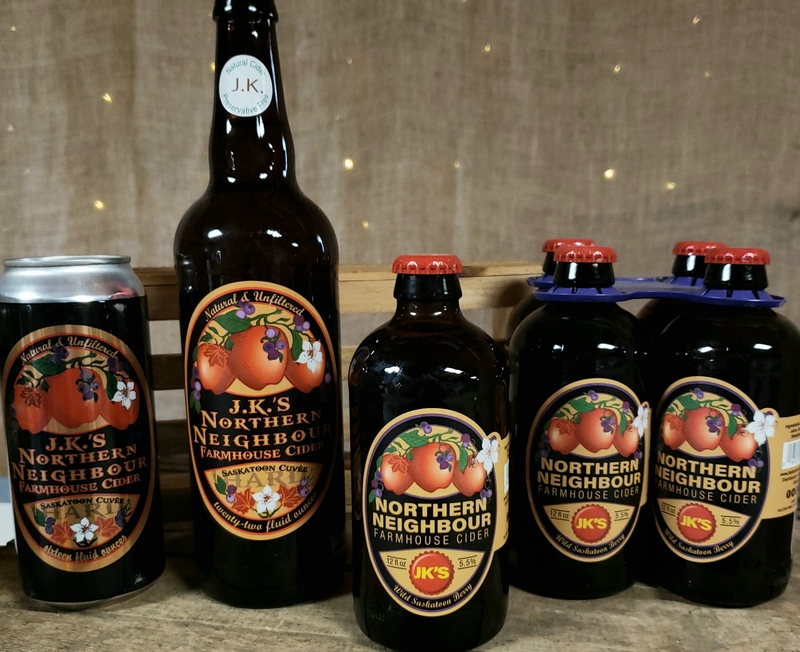 Where Can I find JK’s Hard Ciders? We always have our standard flavors available in the store. Select flavors are available across the country – we’re currently building a list. 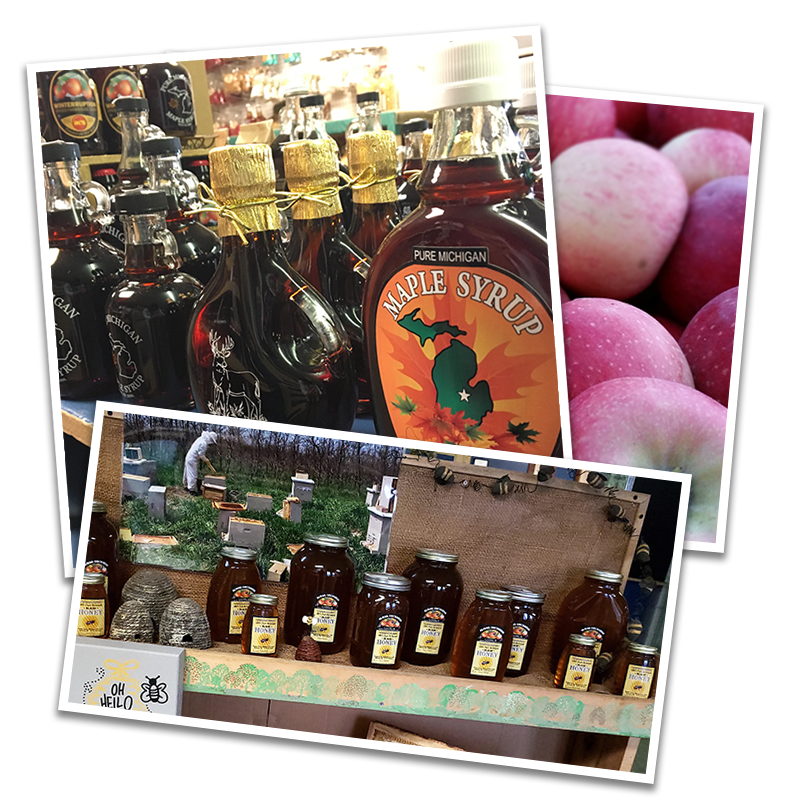 In Michigan, visit our farm store – or call to see if we are at the Royal Oak Farmers’ Market on the coming Saturday. 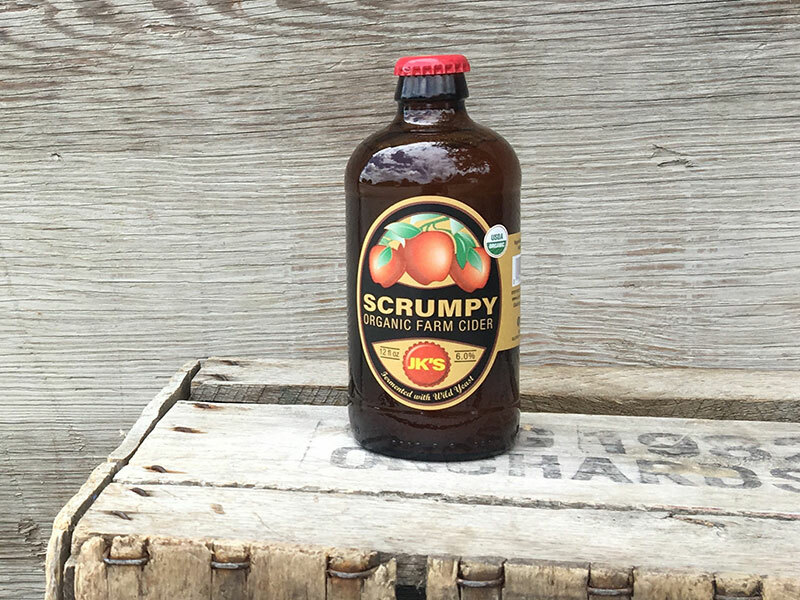 People ask for it using several names – Scrumpies, Hard Cider, The Original – but whatever you call it, JK’s Scrumpy is all apple, through and through. This hard cider is slowly fermented from organic apples and natural yeast. The apples are grown in our Michigan orchard – the same orchard has been in the Koan family for over 150 years – and this cider saved our farm during the Great Depression. We now produce it legally so you can appreciate it too! There will be slight variations from batch to batch, just as nature makes no two apples alike. Enjoy our authentic estate bottled American JK’s Scrumpy with it’s fresh, juicy apple aroma and crisp, clean finish. We invite you to celebrate a collaboration of a few passionate American and Canadian farmers. The fruits of their labour are presented in this unique hard cider. We provide the apples from our Michigan orchard, and our neighbour’s to the north provide the Saskatoon berry, also known as the Serviceberry, which is not a berry at all but a distant relative of the apple. This cider has been carefully fermented here at Almar Orchards using our traditional methods. We hope you enjoy sharing this cider with your friends, family and neighbours. Based on an old family recipe – Grampa Koan brewed Farmhouse Summer during the Great Depression. Served to toiling farm hands for a job well done in the Michigan summer, this refreshing beverage has a zest of orange, the richness of plump raisins and a hint of coriander, to quench your thirst. 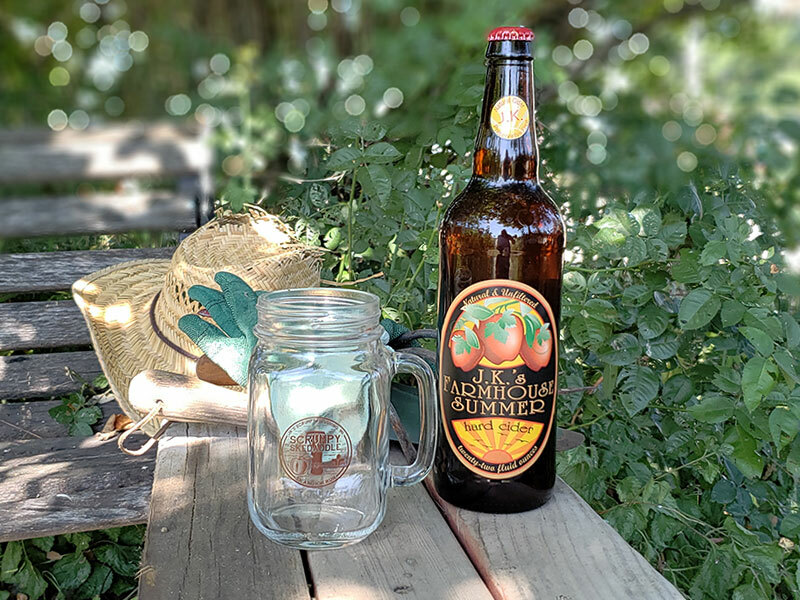 Farmhouse Summer is a great alternative to light beer or white wine on a hot and muggy Michigan summer night. 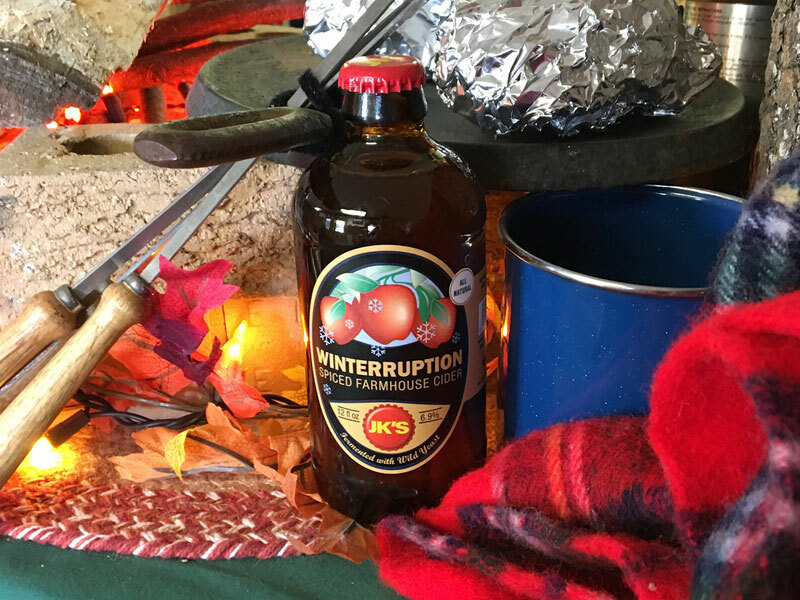 “Fill the long summer days with hard work, then fill your glass with my summer Scrumpy to enjoy the shorter nights.” Albert J. Koan Jr.
An interruption of winter or an eruption of winter? Sometimes described as apple pie in a glass, Winterruption is delicious all year round, and especially good warmed as a hot toddy on those long, cold winter nights. Winterruption starts with organic apples, lightly spiced with ethically traded cinnamon, vanilla and maple syrup. We our proud to introduce our first single-varietal in bottles – Honeycrisp Haze! Full of the flavor of the popular Honeycrisp apple, Haze has a bright voluptuous flavor with a clean, dry finish. Pear, pare or pair? Perry, more commonly found in the UK is the pear’s equivalent to hard cider, and we’ve combined Perry and Scrumpy in The Pair. We’ve taken apples and pears, blended their juices to perfection and then fermented that juice with our own natural yeast. The result is a pleasantly sweet drink, almost a nectar, where the tiny bubbles sing and praise our perfect pairing. What is a PawPaw? 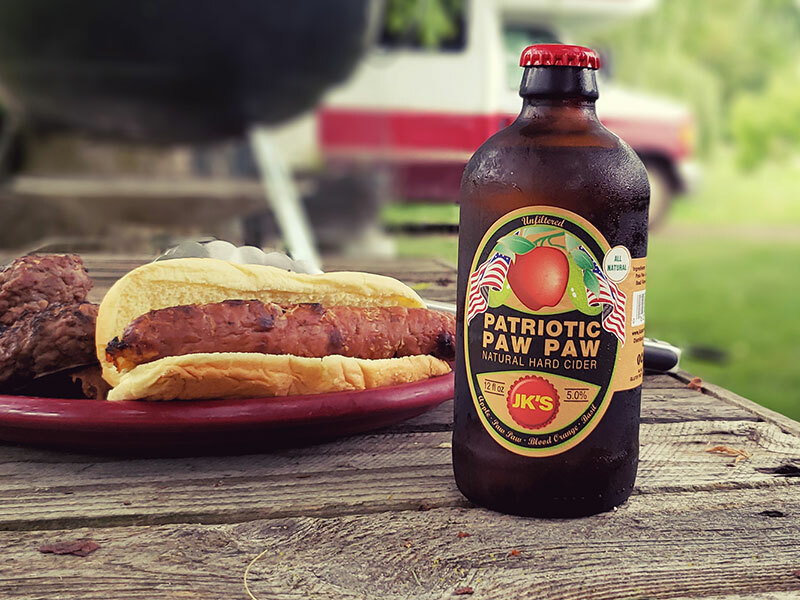 We get that question a lot when people come in to taste one of our newest hard ciders, Patriotic PawPaw. A PawPaw looks like a green potato, but tastes like banana and mango custard (with a hint of vanilla and citrus). 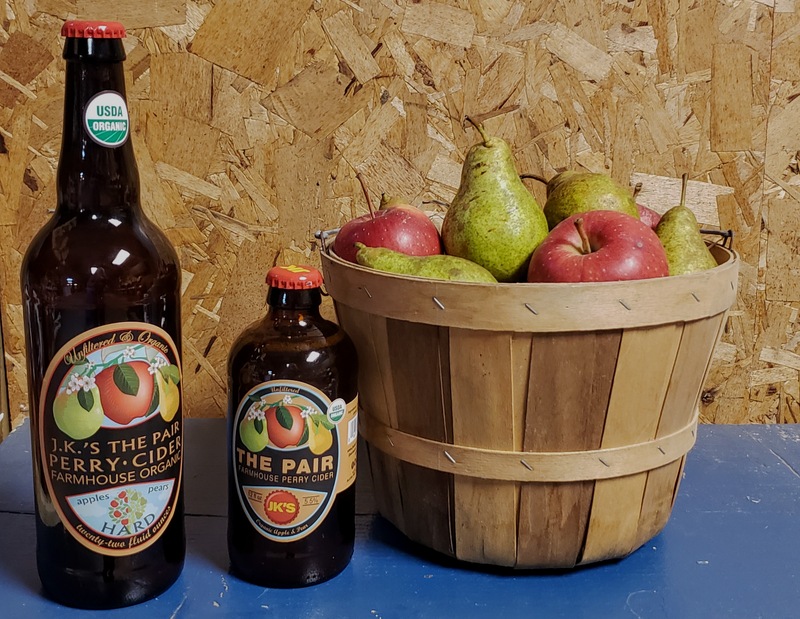 The flavors of Blood Orange and Basil complement the PawPaw’s tropical flavors, and when combined with our Scrumpy, the result is a smooth and easy hard cider. Why Patriotic? PawPaws are the largest fruit native to America, but most people in the U.S. have never heard of them. Founding Fathers Washington and Jefferson were historical lovers of the PawPaw, as were Lewis and Clark. The PawPaw is a true American!